Beeswax is a very precious, sustainable and vivid substance. 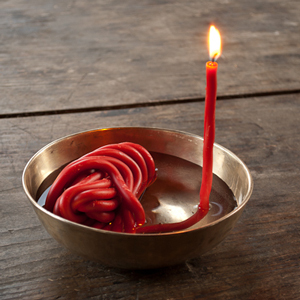 Producing dripless candles is a real challenge to beeswax-chandlers and producers of wicks. Beeswax modifies its physical attributes due to slight changes of temperature. The flame liquefies the beeswax which is absorbed in the wick and the vapour derived from the beeswax is burnt. 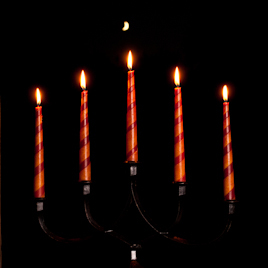 Due to high viscosity thicker candles have thicker wicks, therefore the flames get higher and hotter. As to the styling of our candles we make an effort to meet the characteristic traits and the value of the material. 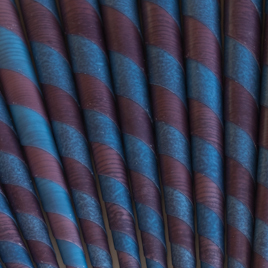 We keep hold of cylindric and slightly conic shapes and only produce candles up to a diameter of 3.8 cm. It is the design of our classical candles made of coloured sheets of beeswax and for candleholders which makes the product of our handicraft most successful. 30 years of experience contribute to this success. The approximately 1 mm sized sheets which are produced manually in many different colours allow most interesting nuances. This timeless beautiful, mostly dripless candle is available in four sizes and numerous varieties in colours. In its history of probably more than thousand years the beeswax taper has experienced all kinds of transformation in use and design. We lay a continuous beeswax string between 6 mm and 8 mm in diameter in particularly feminine shapes and in this way we incessantly invent a whole range of new varieties in a meditative process.